What a start to the month. We just spent the last week at a marketing event hosted by The Digital Experts Academy and have been absolutely blown away by the insights and transformational value we experienced. Chris, Merrilee and I will be taking our internet business to the next level after implementing everything we’ve learned over the weekend. So the point of this blog post is let you know that while we were attending the event, our Six Figure Mentor online commissions finally ticked over $300,000! It was only a couple of months ago I was blogging about achieving the $200,000 milestone so the momentum we’ve been experiencing has just kept churning along. For the month of September, we did exactly $26,457 that helped us achieve this new milestone. 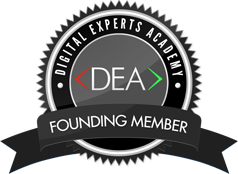 What is more exciting is that we get to travel around the United States over the next 5 weeks as we head into Mexico for the Digital Experts Academy Annual Black Retreat. We’ve got nothing planned, but we have the flexibly and freedom to choose our own adventure with the luxury of taking our whole business with using simply our laptops and a wifi connection.